the Supreme Court (Court of Cassation). Judgment handed down by the lower courts may be appealed before a higher jurisdiction and a higher court’s decision can also be reviewed by the Supreme Court. First instance courts can be subdivided in two categories: Justices of Peace and District Courts. There are three Justices of the Peace in Luxembourg: Luxembourg City, Esch-sur-Alzette and Diekirch. The Justices of Peace have jurisdiction over civil claims up to an amount of €10,000, and for specific cases such as tenancy law, seizure on wages or certain family matters (support payments). Cases before Justices of Peace are handled by one judge: the Judge of Peace. There are two District Courts in Luxembourg: Luxembourg City and Diekirch. The District Courts have jurisdiction on all matters where the value of the claim exceeds €10,000. Some matters are exclusively reserved by law to the District Courts as matters related to the procedure of exequatur. The District Courts of Luxembourg also have jurisdiction over judgments handed down by the Justices of Peace in appeal provided that the value of the claim exceeds €2,000. Cases before District Courts are handled by chambers composed of one or three judges depending on the nature of the proceedings. Chambers composed of one judge mostly deal with urgent applications. The other District Courts’ chambers are all composed of three judges. The Courts of Commerce are not independent bodies, but rather are embedded in and part of the Luxembourg District Courts. The Courts of Commerce may be considered as specialist commercial and financial courts mainly dealing with such matters. The Courts of Commerce have jurisdiction over commercial matters such as disputes regarding corporations, shareholders and insolvency proceedings. As with the District Courts, chambers of the Courts of Commerce are composed of three judges. There is one Court of Appeal in Luxembourg (Luxembourg City). It has jurisdiction over judgments handed down by District Courts and Commercial Courts. There is no second appeal of a judgment handed down by a District Court or Commercial Court in appeal of a judgment rendered by the Justice of Peace. Chambers of the Court of Appeal are composed of three judges. There is only one Supreme Court in Luxembourg (Luxembourg City). The Supreme Court has jurisdiction over decisions handed down by the lower courts provided that all appeals have been exhausted. Judgments of the Justice of Peace that are not subject to appeal (when the value of the judgment does not exceed €2,000) and judgments rendered in appeal from the District Courts on decisions of the Justice of Peace as well as decisions handed down by the Courts of Appeal can be reviewed by the Supreme Court. The main characteristic of the Supreme Court is that it does not review the facts of the matters, but only whether the first instance judges or the judges of the Court of Appeal have properly interpreted the law, treaties or binding supranational regulations. As a rule, the Supreme Court does not properly settle the dispute. The Court confirms the judgment or quashes it and sends the matter back to another court at the same level of jurisdiction as the court whose judgment has been cancelled. There are no juries involved in civil actions in Luxembourg. The jury trial was abolished in 1814; since then, all trials are conducted by qualified judges. Civil proceedings are adversarial and the judges have a passive role as judgments will be handed down on facts and evidences submitted by the parties. However, the judge can order an inquiry on a party’s request or require submission of certain documents by himself, if this is necessary for the Court before rendering its judgment. But often the role of the judge is passive as the parties need only to submit the facts and evidences to the judge who will apply the law accordingly. Judges are usually appointed from among lawyers from the bar having passed an additional magistrates exam. Under Luxembourg legislation, time limits for bringing civil claims depend on the nature of the claim. The most common time limit regarding ‘real action’ (debt collection, real estate) is 30 years. Most other claims have a time limitation of 10 or two years (eg, under construction law or divorce matters). Claims of consumers on a lack of conformity of purchased goods are limited to a period of two years. The parties cannot agree to suspend time limits and such an agreement will be considered as void. There is no pre-action behaviour required unless the parties agreed not to start legal actions before alternative dispute resolution by way of mediation for instance. It is, however, advisable to send an official reminder letter to a debtor. This may also have the effect of making the interests run. There is no disclosure requirement in Luxembourg. Civil proceedings start with a service of a writ of summons notified by the bailiff to the defendant. In certain cases, for instance, before the Justices of Peace, the writ of claims can also be sent to the opposing party by the court clerk. The delivery of the writ of claims summons the defendant to appear before the court. Under Luxembourg law, the writ of claims needs to be drafted very carefully and evidence on which the claim is based must be mentioned in the writ. New pieces of evidence can be brought to light and communicated to the opposing party at a later stage of the proceedings. According to the EU Justice Scoreboard 2017, Luxembourg came on top with regard to the duration of civil court cases. According to the report, civil and commercial disputes lasted an average of 86 days. In practice, however, court cases seem to take much longer. The Grand Duchy also spends the most money per inhabitant for its court system, at €187 per inhabitant per year. Usually after having served the summons to the defendant, the claimant must register the claim with the court clerk. written submissions or evidence documents. Once the parties have exchanged all their written arguments, the judge will set the case for oral pleadings. Regarding written proceedings, from the service of the summons until the judgment, the proceedings will usually last between 10 and 18 months. Claims before the Justices of Peace that do not require a service through a bailiff will automatically be registered with the court clerk. After registration the clerk will schedule an introductory hearing before the Justices of Peace at which the case will be directly postponed for oral pleadings. Some commercial proceedings also follow the same proceedings as before the Justices of Peace where no written arguments are exchanged. The parties are traditionally in charge of the procedure, particularly the claimant. They have influence on the timetable as they can decide when to submit their written arguments. However, if there is an unfair delay for one party to submit its written arguments, the court may deliver an injunction against the party, forcing it to submit under threat of foreclosure. Unless the party under injunction submits its arguments, the judge can close the case and set it for oral pleadings. Written arguments can be exchanged as often as necessary until all arguments have been debated. However, the judge can speed up the proceedings if necessary. Proceedings before the Supreme Court is specific as the timetable for submitting written arguments are set up in the law, which is two months after serving and registering the writ of summons. There is no general duty to disclose all documents relating to the case. The parties shall only disclose the evidence on which they intend to rely. However, a party can ask the court to issue an order on the other party to disclose evidence. Some documents could be deemed privileged as communications between lawyers of the Luxembourg Bar Association. The privilege can be waived if the sending document is marked as being official. Advice from an in-house lawyer is usually not privileged. The parties do not usually exchange evidence prior to trial. It may, however, be part of litigation tactics to exchange evidence to impress the other side to exchange evidence beforehand in order to find an out-of court solution. Evidence documents are often presented as written documents. Oral evidence is possible under Luxembourg legislation but very rarely used in civil proceedings. A wide range of interim remedies is available provided that the case is urgent and the evidence submitted to the court is not seriously disputed. Some interim measures of injunctions under summary proceedings are also available. A Luxembourg court can enjoin a party to perform an obligation or refrain from an action or behaviour under penalties. The court can also grant damages, cancel contracts or appoint experts with specific tasks. Decisions of Luxembourg courts are not automatically enforceable. It depends on the court concerned, the type of claim and on the content of the judgment. Enforceability means that a bailiff can enforce the judgment once it has been notified or served to the other side if the judgment is automatically enforceable. On the other hand, a court decision is only enforceable when it becomes final (ie, either not subject to appeal or if any appeal has been lodged against that judgment after expiry of the appeal deadline). Court hearings are held in public, except if the court has decided otherwise. There are, strictly speaking, no court fees in Luxembourg. However, the court usually impose costs on the unsuccessful party to be paid to the opposing party. These costs are based on the amount in dispute and are assessed pursuant to a Grand-Ducal Regulation. The amount is increased if the matter is particularly complex or requires several submissions from the parties. In addition, the unsuccessful party is often sentenced to cover a fair share of the lawyers’ fees engaged by the successful party. Under Luxembourg legislation, the total amount granted rarely covers all the costs. Also under Luxembourg legislation a Luxembourg defendant may require from a non-EU plaintiff a deposit of a guarantee (caution judicatum solvi). The deposit is not required if there is a treaty to this end between Luxembourg and the country of the foreign plaintiff. Luxembourg lawyers’ rules strictly prohibit the quota litis pact or ‘no win no fee’ agreements. However, a success fee may be agreed in addition to the regular lawyers’ fees or flat fee. Luxembourg lawyers’ rules require lawyers to charge fees with moderation, fairness and according to the complexity of the case. Insurance to cover all or part of legal costs is available in Luxembourg. Class actions, as they are known in the United States, do not exist in Luxembourg. However, several claimants can file a claim together against one or many defendants and defending their interests. The part claim of each plaintiff must, however, be determined clearly from the claim of the other plaintiffs. Any judgment can be appealed. The main exceptions are those ruled by the law as, for instance, matters before the Justice of Peace with a claim threshold of €2,000. Foreign judgments from courts of EU member states are easily recognised and enforced in Luxembourg in accordance with Regulation No. 1215/2012 of 12 December 2012, provided that they have been rendered in compliance with due process requirements and with Luxembourg public policy principles. As concerns judgments from courts of states other than those covered by this regulation, specific rules may result from international treaties. Between member states of the European Union (except Denmark) Council Regulation No. 1206/2001 of 28 May 2001 on Cooperation between the Courts of the Member States in the Taking of Evidence in Civil or Commercial Matters applies. 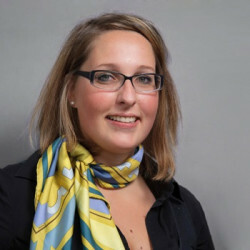 According to the Regulation, courts must directly address their requests to the Luxembourg courts that have jurisdiction on the witness to be heard or the person holding the request document. Where Council Regulation 1206/2001 does not apply, specific bilateral or multilateral conventions may apply. Luxembourg arbitration rules are not based on the UNCITRAL Model Law. Luxembourg law makes a distinction between international arbitration and domestic arbitration and provides for a different set of rules applicable to each of those two categories of arbitration. Except for the fact that arbitration agreements must result from an agreement signed by both parties, they are not subject to any formal requirement. They are enforceable provided that they evidence the intention of the parties to resort to arbitration. If the agreement is silent on the appointment of the arbitrators, Luxembourg law requires the designation of three arbitrators. Each party must appoint one arbitrator and the third one shall be appointed by mutual consent of the parties. If the parties failed to appoint their arbitrator, the president of the District Court may appoint the arbitrators. Luxembourg law does not require that arbitrators have any specific qualifications. Arbitrators can be civil servants or, if they are not involved in the dispute, lawyers or magistrates, but they can also be chosen from among any category of professionals relevant for the dispute resolution (eg, engineers). Arbitrators do not have to meet any specific requirements. Parties are also free to choose as many arbitrators as they want, as long as this is in line with the arbitration agreement or the arbitration clause. Luxembourg arbitration law grants the parties and the arbitrators much freedom to organise the arbitral proceedings. Otherwise Luxembourg law requires a speed procedure within three months. The courts will not interfere directly with arbitral proceedings unless the parties or arbitrators, or both, ask the courts to intervene in a specific matter. As long as the agreement is in accordance with Luxembourg law (especially article 1244 of the New Civil Procedure Code (NCPC)), it can override the court’s power. An arbitral jurisdiction is entitled to order provisional or protective measures, such as conservatory measures to preserve evidence or prevent irreparable harm. Luxembourg law provides for specific rules. The award must be delivered within three months unless otherwise agreed by parties. The award must be motivated and contain the date of the award and the names of the arbitrators. An arbitral award can only be appealed to request its annulment under specific conditions outlined in article 1244 NCPC. The same applies to international arbitration. A domestic award can only be enforced after an order delivered by the president of the District Court further to the arbitration. This order is a mere formality. As regards international awards, these could be enforced by way of an exequatur procedure in Luxembourg. There are no rules for allocating costs to a party under an arbitration unless otherwise agreed by parties. Under Luxembourg law there is no statutory obligation to consider alternative dispute resolution before resorting to litigation or arbitration. However, parties may agree in a contract to refrain from starting a court action until they have failed to resolve their dispute through an alternative dispute resolution mechanism. If such a clause has been agreed upon, Luxembourg courts and arbitral tribunals will refuse to hear the case unless the claimant gives evidence that the clause has been given full effect. Courts cannot compel the parties to participate in an ADR process, which requires their consent, but the writ of summons must mention the diligences made to organise such method before introducing court actions. MOYAL & SIMON is an independent Luxembourg law firm that has matured into an established key firm in Luxembourg since its foundation in 2010. We pride ourselves in combining the quality and expertise of the leading commercial law firms while delivering individually tailored services adapted to the specific needs of our clients.